Mondays to Fridays – Changes to timings. Saturdays: there is no longer a 0840 Penzance to Gwavas and 0856 return, or a 1415 Penzance to Paul and 1439 back. 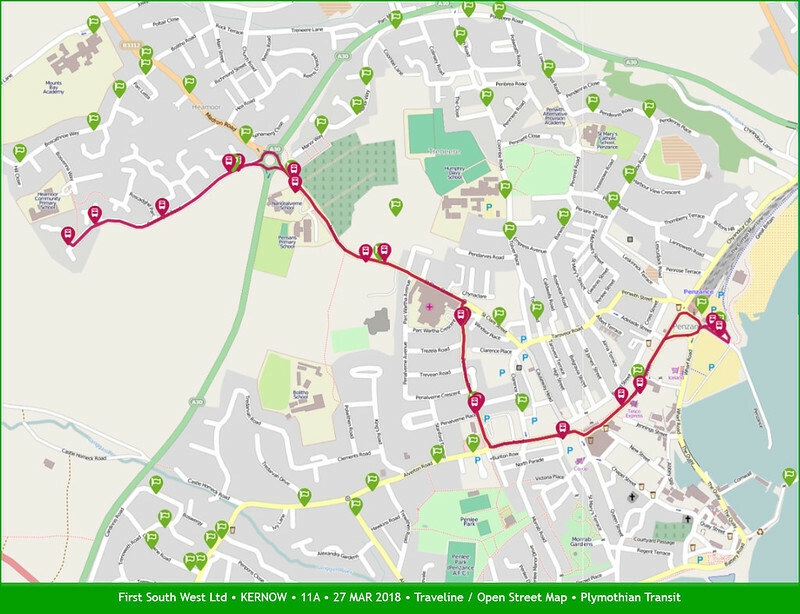 Mondays to Fridays (11): New timetable with all journeys starting from Penzance bus station and continuing beyond Manor Way to Roscadghill Parc. Saturdays (11A): every two hours from Penzance bus station to Roscadghill Parc. These buses will not run via Treneere Estate. Mondays to Fridays: Changes to some timings. Saturdays: new timetable on the 16 every two hours, replacing the 16A. Mondays to Fridays: 0640 Newquay to St Austell replaced by a bus starting from Kingsley Village at 0717. A connecting bus leaves Newquay at 0640 on route 92. 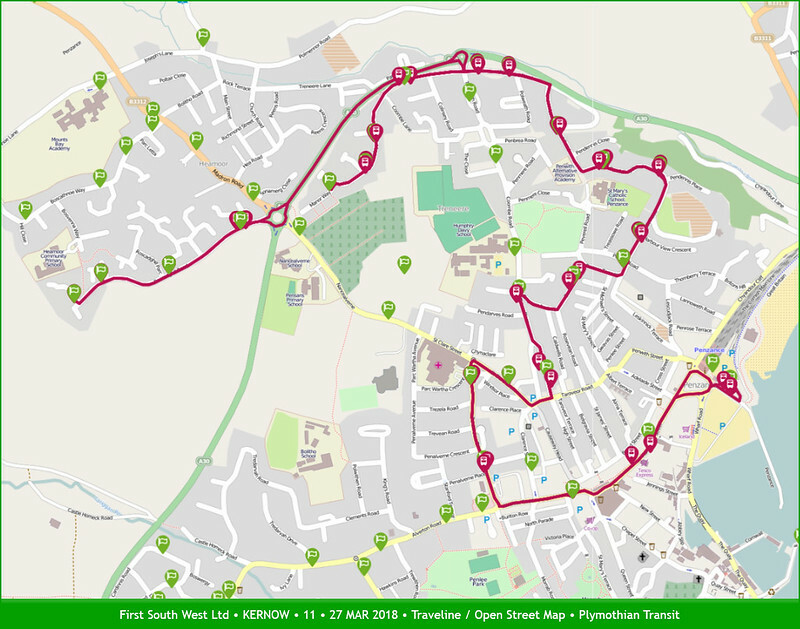 Mondays to Saturdays 1719 journey from St Austell to Newquay will leave at 1706 and run 13 minutes earlier to Kingsley Village where it will terminate and connect with a route 92 bus to Newquay. Saturdays: 0630 and 0730 St Austell to Truro will be replaced by a new journey at 0650 from St Austell. There is no longer a 0715 from Truro to St Austell. Saturdays: 0645 Fowey to Mevagissey will now start from St Austell bus station at 0735. Sundays: Summer service every 90 minutes with most buses extended beyond Mevagissey to the Lost Gardens of Heligan. Mondays to Fridays: There is no longer a 0623 St Blazey Gate to Fowey and 1920 Fowey to St Blazey Gate. Saturdays: New timetable with buses running every two hours between Fowey and Newquay. Mondays to Fridays: Some journeys will no longer serve Duporth. Saturdays: There will no longer be a 0726 Helston Tesco to St Keverne. 0757 Coverack to Truro will start instead from Mawgan at 0821. Saturdays: New timetable with buses running every two hours between Redruth and The Lizard. Saturdays: New timetable every two hours between Camborne and Truro. Mondays to Fridays: Minor Daytime changes. New Evening timetable, only between Redruth, Camborne and Troon. Saturdays: There will no longer be a 0604 Redruth to Truro. The 0725 Truro to Troon will start from Carharrack at 0803. The evening service will be the same as on Mondays to Fridays. Mondays to Saturdays Buses will not divert via Upland Crescent in Truro before 1000 or after 1600. Mondays to Saturdays: There will no longer be a 1855 Truro to Tregony. New Timetable. Two buses in each direction will continue on route 96 to and from Wadebridge. There will be some connections at Camelford with buses to and from Bude on route 95. 66: Runs on Tuesdays and Fridays. 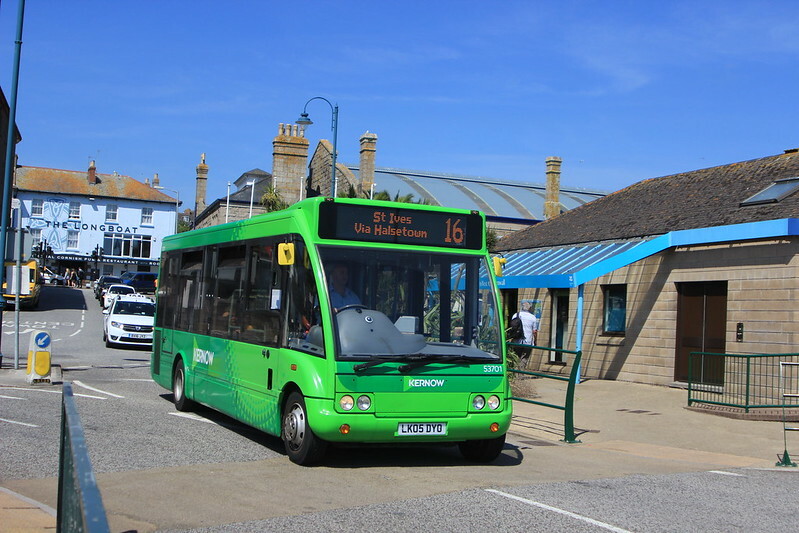 68 Saturdays: There will no longer be journeys from Falmouth Moor at 1458 and 1708. Mondays to Fridays: New timetable to improve reliability. Saturdays: Increased to hourly for the summer timetable. Sundays: Every two hours from Newquay to Crantock and Holywell Bay for the Summer timetable. Sundays: Increased to hourly for the summer timetable. 94. 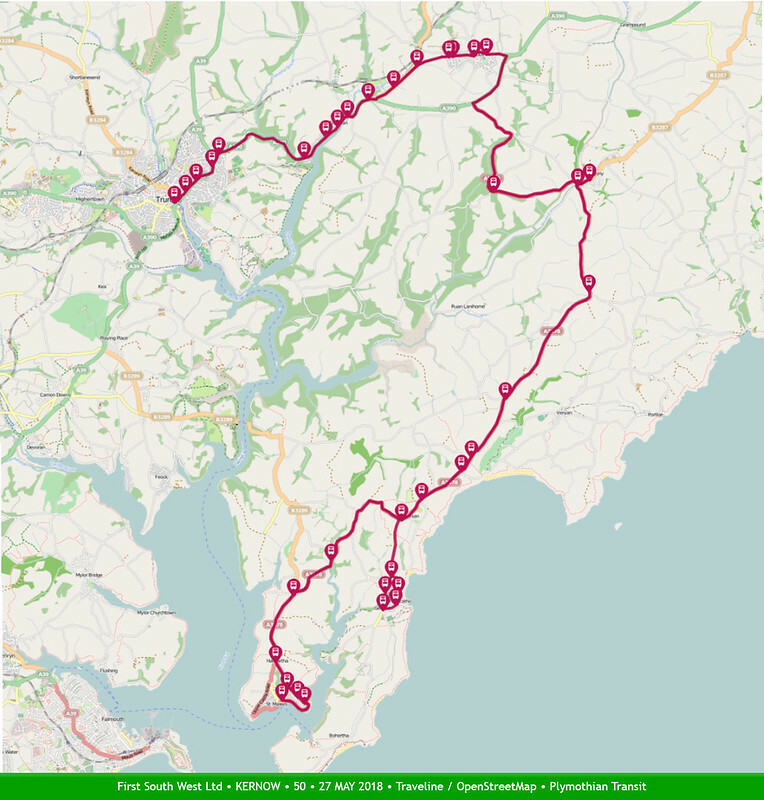 95 These routes which previously ran in two sections between Truro or Newquay – Wadebridge and Wadebridge – Bude will be linked to run as one through service approximately every two hours. There will be connections at Wadebridge on route 96 to and from Rock, Polzeath and Port Isaac. On the Wadebridge to Truro section of the route all buses will serve Summercourt (in place of the 90) but not St Erme (which will be served by the 90). 96: Mondays to Saturdays: New timetable designed to provide connections with routes 94 and 95 in Wadebridge. Sundays: No change. As seen from your blog and new fk booklet has anyone else picked up the falmouth open topper not running this season?